The celebrated author of "Montana 1948" returns to the American West in this riveting tale of familial love and its unexpected consequences. Dalton, North Dakota. It's September 1951: years since George and Margaret Blackledge lost their son James when he was thrown from a horse; months since his widow Lorna took off with their only grandson and married Donnie Weboy. Margaret is steadfast, resolved to find and retrieve her grandson Jimmy -- the one person in this world keeping James's memory alive -- while George, a retired sheriff, is none too eager to stir up trouble. Unable to sway his wife from her mission, George takes to the road with Margaret by his side, traveling through the Dakota badlands to Gladstone, Montana. When Margaret tries to convince Lorna to return home to North Dakota and bring little Jimmy with her, the Blackledges find themselves entangled with the entire Weboy clan, who are determined not to give up the boy without a fight. From the author who brought us "Montana 1948," "Let Him Go" is pitch-perfect, gutsy, and unwavering. Larry Watson is at his storytelling finest in this unforgettable return to the American West. Larry Watson is the author of "Montana 1948, American Boy, Justice, White Crosses, "and several other novels. He is the recipient of the Milkweed National Fiction Prize, the Friends of American Writers award, two fellowships from the National Endowment for the Arts, and many other prizes and awards. He teaches writing and literature at Marquette University in Milwaukee, where he lives with this wife, Susan. 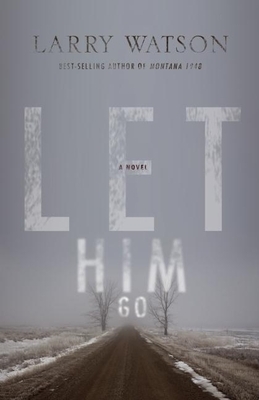 "In Let Him Go, Larry Watson evokes the deepest kind of suspense: that based upon the fact that humans are unpredictable and perhaps ultimately unknowableeven to their most intimate associates. This fierce, tense book is beautifully written, with spare and economical prose out of which blooms a vivid and uncompromising portrait of the modern West. A brilliant achievement." "Let Him Go is as commanding as its title: you will be immediately gripped by the narrow-eyed, big-hearted pursuit of a child in danger. This is a literary thriller of the highest orderon par with Daniel Woodrell's Winter's Bonean unrelenting quest through an unforgiving landscape and deadly family web." "The sort of book that puts the shine back on genre as an adjective to describe fiction." Let Him Go is brilliant, devastating. I will be reading more Larry Watson.